I don’t wear any other topper as often as I do my go-to trench coat during the spring season. You’ve seen my favorite yellow trench worn many different ways here. I love that trench from Soft Surroundings so much that when I thought about adding a new style to my wardrobe this spring, I went shopping there again. 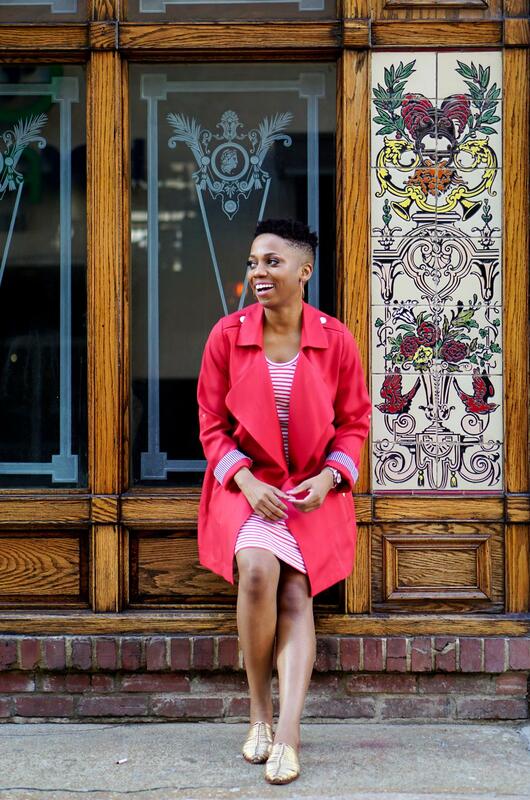 It was a good move because I found today’s flowy red trench coat, and it’s fabulous. I was immediately drawn to this style because it brought something new to my closet. It’s less structured than my other trench. It’s shorter. And, it has a open front. These little details pack a lot of fresh flavor. Sizing? I’m wearing a size small. For reference, I usually wear an extra small in styles at Soft Surroundings. I think a size extra small would’ve given a sleeker fit. So, definitely choose your usual size in this topper. 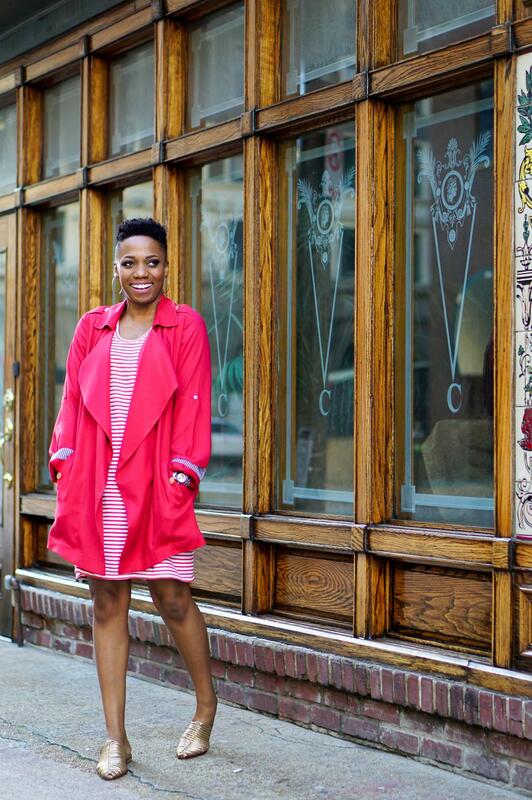 I plan to pop this red trench coat on top of everything this spring, from all white to nautical stripes. 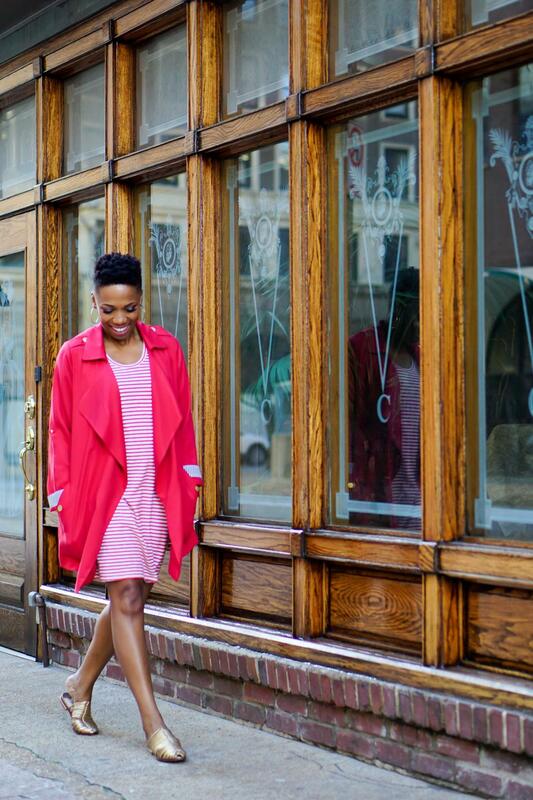 In today’s look, I paired the trench with a striped tank dress. They make quite the team.